Over 90 education sessions covering topics such as cost reduction, revenue cycle improvement, improving patient experience, community health, accounting standards, career development and leadership, pricing transparency, policy updates, compliance, health analytics, and much more. Roughly 5,000 attendees, approximately half of whom are executive level. 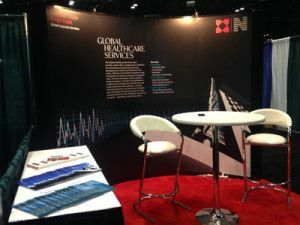 CEO’s, CFO’s, CIO’s, and CMO’s attend, as do heads of strategy, science, nursing, and more from organizations ranging from healthcare systems to technology and service providers to industry consultants. An exhibit floor with more than 400 industry suppliers. The 2016 conference is scheduled for June 26-29 in Las Vegas, NV. Click Here for more information. If in attendance next year please let us know so we can connect.